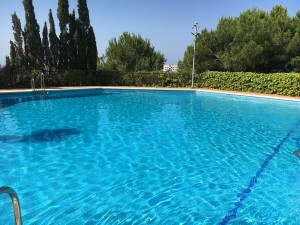 This well-maintained detached villa is located in Miralmonte, which is a tranquil urbanization in the countryside between Coin and Alhaurin el Grande. The villa is distributed on one level and consists of a spacious living/dining room with fireplace, a fully fitted kitchen, 3 bedrooms and 2 bathrooms. 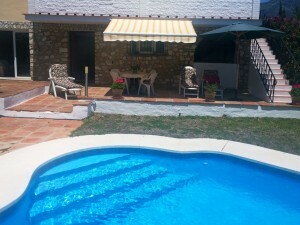 Both the kitchen and living room give access to a terrace with views of the valley and to the garden with several fruit trees, a barbecue, a private swimming pool and a 38 m2 garage. 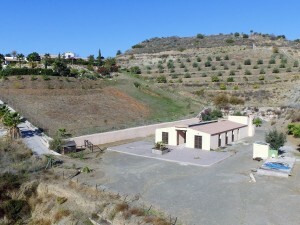 Warm water is supplied by solar panels and because there are two entrances there's extra parking space both in front and to the rear of the villa. The villa is built on an ?urban' classified plot. This means that the land has a higher value and making changes to the property will be easier than if the land had been classified as ?rural'. 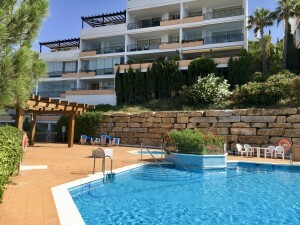 It's less than a 2 minute drive to several ?ventas' (typical Spanish restaurants) and it's a 5 minute drive to the town centers of both Alhaurin el Grande and Coin where you will find all amenities you may need. 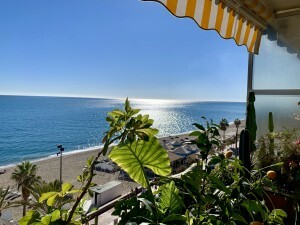 Because of the easy access to the highway even the beaches of Torremolinos, Marbella and Malaga International Airport can be reached within a 25 minute drive.